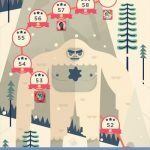 So we’re now in the seventh part of our series and as you may have noticed things aren’t getting any easier. 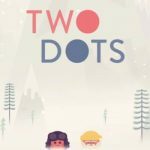 In some stages, such as level 27, things seem deceptively easy, but in general, these TwoDots levels are getting tougher and that’s where these tips will come in handy. Let’s move on and continue this walkthrough this time focusing on levels 31-35. Lots of anchors, lots of dots, and only 40 moves for you to clear ‘em all out. But the good thing is that you’ll be starting with four anchors on the board. You can drop them down by creating squares and clearing all identical colored dots to the color square you created. Don’t mind the rectangle blocker near the bottom, as all objects will move right through the blocker; you’ll want to remember this oddity on the board once you’re trying to collect dots. That being said, it wouldn’t hurt to do a lot of your damage from the bottom two rows. The requirements sound tough, but this round doesn’t come with any blockers, and the board looks very conventional. Still, that doesn’t make this round easy, as you’ll have to create a whole lot of squares, and preferably a few bombs too, in order to achieve your goal and use 30 moves or less to drop all those 10 anchors. Creating a square around more than one dot would give you more than one bomb, and that could be a real time-saver. While all seven anchors are immediately visible on the board, the difficulty here comes from the fact that the board has a top, middle, and bottom section, with gaps in between. Focus on clearing dots in the center portion, as this is the fastest way to drop anchors and the easiest place to make squares. As squares clear all dots of the same color as the square, it’s important to bring the anchors down to the bottom half of the board as fast as possible. Once you’ve done that, it should be smoother sailing for the rest of the way. Lots of dots, lots of room to make squares and bombs, but so many anchors and so few moves. As we said, squares and bombs would be the way to go, and you can also work from the bottom in hopes of creating better matches in the upper half of the board. The real challenge here is the number of anchors in relation to the number of moves. Small and simple shapes, quite obviously, won’t cut it here. 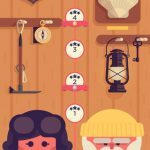 It will be important to take your time here, considering the anchor/dot/move requirements; there’s no time limit in TwoDots, so you don’t have to worry about failing if you take too long. You’ll want to create bigger patterns and squares on the larger right portion of the board. Even if it may seem tempting, try not to touch the yellow dots, unless doing so would substantially send your anchor downwards.